Back in Connecticut, the trails that run through Litchfield County give a runner a multitude of options for terrain. The terrain gives the runner a chance to practice agility while they bound over roots and rocks. The trails varying grade gives you opportunities to bound up hills, practice neuromuscular power and also eccentric strength with descending. The surface of the ground can also be much softer on trails, more so than the concrete on the road. Dr. Douglas Casa took notice of all these facets of trail running and hasn’t ran on a road since 1999. Dr. Douglas Casa, chief executive officer of the Korey Stringer Institute at University of Connecticut, is an avid trail runner. I’m always curious as to what shoes people wear to run, so when I asked Dr. Casa I was surprised to hear that he rotates 5 different pairs of shoes. He never wears the same shoe two days in a row. As we spoke more about trail running, he suggested a book, “Today We Die a Little: The Rise and Fall of Emil Zatopek.” Emil won five Olympic medals, set eighteen world records, and went undefeated in the 10,000 meters for six years. Emil did most of his training on trails, and this book details his history in the darkest days of the Cold War. Recently, the University of Connecticut developed the MISSION Heat Lab. This comprehensive lab has a chamber that can control temperature from 40 F to 110 F, from 20% to 90% humidity, and comes equipped with a bathroom, bikes, and treadmills to allow uninterrupted testing. Here, the institute can test VO2max, substrate utilization, sweat rate and sweat electrolyte composition, heat tolerance, lactate threshold, and can provide heat acclimatization before hot races. Recently, Cliff Bar and Camelback brought their athletes to the center to have physiological testing done. Dr. Casa’s biggest advice on hydration was habitual behavior. Athletes need to constantly drink and train their hydration plan. Since you can train the gut to absorb water, you need to constantly train this system as you would train any other system. For most of us in the Northeast, the competitive cycling & triathlon season winds down in autumn as the days grow shorter, the leaves start to turn and fall and the temperatures drop. Although there may not be any races in the next few months, fall can be a great time to jump-start your cycling for next season. Here are some tips to keep you on track and start your next season at a higher fitness level. Historically, pro cyclists took a long break at the end of the cycling season, from 1-3 months, but the current trend favors a shorter break, and a few weeks of “unstructured” riding or cross training before resuming base training. Your body will benefit from a rest from the rigors of week-in, week-out training and racing, and mentally, some time “off the grid” may help you re-focus and refresh your attitude toward training. After your last race or training block, give yourself 1-2 weeks off the bike, or just biking for fun, when you feel like it. Try a little cross training and enjoy some activities you normally can’t do in the thick of racing season. Then use the next 2 weeks for unstructured, recovery rides. Ride for fun, and avoid the temptation to pore over your power meter or chase wheels. Enjoy a break from a formal training calendar, but set a date to return to base training and re-building your endurance base. Don’t procrastinate and keep pushing back your return to training! There’s still a lot of good weather and “road time” left so take advantage of the nice fall weather and get out on the road!!!! Now is a great tie to use those “endurance miles” days to work on your cycling skills. It is easier and more productive to work on skills while riding at moderate intensities than when you’re suffering through intervals and about to blow up. · Paceline riding. You will become a much better rider and you can go farther much faster if you learn to ride good pacelines. Riding closely behind another rider requires good bike handling, proper cadence, smooth pedaling and the ability to anticipate changes in speed or hazards on the road. The goal of good paceline riding is for all riders to stay together and proceed smoothly as a unit. This topic deserves its own post, but in a nutshell, learning to ride a smooth paceline takes practice. 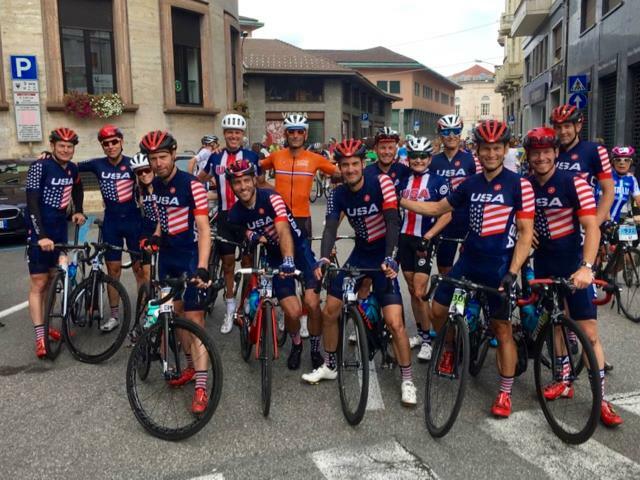 The quickest way to make progress with paceline skills is to find a USA Cycling Licensed Coach with experience Ieading road cycling group training. · Cornering: Practice cornering to avoid being “dropped” at every turn, and to carry speed thru corners. A good bike fit is key for your position when cornering, and working with a coach can build your confidence and shave off seconds thru turns. · Descending: Take time to work on your descending skills for greater comfort and control on downhills. · Shifting to maintain a steady cadence and effort: learn to use your gears efficiently to maintain a steady cadence and effort level. Proper shifting is important to avoid excessive stress to your drivetrain and to improve your cycling efficiency. · Pedaling. Although it seems simple, adding a few pedaling skills drills now will result in greater power with less effort and improved muscle balance next season. · Eating and drinking on the bike; practice eating and drinking on the bike. Now is a good time to try different sports drinks and energy bars to see how they affect you. Take your bike off the beaten path & hit some gravel or dirt roads in the fall! Don’t use your delicate, all-carbon race wheels; make sure you have a set of sturdy “training wheels” and try some dirt roads. You will develop better balance & bike handling riding on different surfaces, and the variety will spice up those long “endurance miles” days. As the temperature drops, dress for comfort and performance. A few simple wardrobe additions will keep you riding on the road without suffering. · Baselayers: These range from lightweight mesh summer models that wick away sweat to heavy-duty long sleeve insulating baselayers for the coldest winter days. Start with a lightweight short sleeve baselayer under your cycling jersey when the mornings are chilly. · Armwarmers, knee warmers, leg warmers: A great addition to your cycling shorts, baselayer and short-sleeve jersey on chilly day. Easy to remove them and stash in your jersey pocket as it warms up. · Glove liners or lightweight fall finger gloves: The hands are very exposed to wind chill, so avoid frozen fingers with a light weight polypropylene “glove liner” under your normal cycling gloves, or invest in lightweight full finger gloves for frosty days. · Bib shorts, bib knickers or Bib tights (for colder weather): Bib shorts keep the torso warmer and prevent cold air from seeping in around your waist. Thermal full-length bib tight will keep your legs warm in frigid temps. · Cycling cap: You lose over 60% of your body heat from your head, so as the temperature drops, layer a wool cycling cap under your helmet to stay warm. · Avoid baggy “sweatshirts” or loose jackets when cycling. After a nice break, start back gradually and build duration and mileage sensibly during your “endurance base” period. Riding for shorter periods more frequently will help your fitness more than “binge riding”, or doing infrequent long rides o infrequent very hard rides. Doing one 6 hour ride in a week is not as effective as doing 3-4 rides of 1-3 hours in a week. Likewise, one “hard” interval session will not make up for missing 5 days of riding in a row. The more the body becomes accustomed to doing something regularly, the more efficiently it performs. Get in a habit of riding and exercising frequently and build your longer rides gradually. Examine your bike and your gear for signs of wear and tear, and make a list of any equipment that needs to be replaced or upgraded. · Chain and cassette: Your shifting will suffer and you may drop your chain excessively if your chain and cassette are worn out. Look for worn-down cogs on your cassette and have a mechanic measure your chain for “chain stretch”. Replace your cassette and chain together for best results. · Handle bar tape: Replacing dirty, torn handlebar tape will freshen up any bike, and will provide better grip and greater comfort. Choose bar tape with enough padding to dampen the vibrations from the road and avoid numbness or pain in the hands. · Tires: Wipe your tires after every ride and check for cuts or tire damage. Replace tires if there are signs of deep cuts or punctures, or when the tread begins to “square off” instead of maintaining a smooth curved surface. · Brake Pads: Since brake pads aren’t easily visible, it’s easy to forget about them. If the brake pad has narrowed, or the “grooves” in brake pads have worn down, it’s time for a new set. · Cleats: If the cleats on your cycling shoes have lost their sharp edges, buy new cleats. Worn-out cleats will not secure your foot to the pedal, and may result in an accident if you “pull out” of the pedal because the cleat was too thin to hold the shoe to the pedal. · Saddle: Saddles do wear out; the outer covering wears away and the padding breaks down over time. If your saddle looks “tired”, you’re due for a new saddle. · Bike Tune-up: take your bike to professional mechanic for a full-service tune-up at least once a year. Your bike will perform better if you maintain it properly. Make the most of the fall season to come back more motivated and well-prepared for next year! Ann Marie Miller, MA is a 5-time UCI World Masters’ Road Cycling Champion, a 13-time USA Cycling Masters’ National Road Cycling Champion and is a USA Cycling Category Racer. 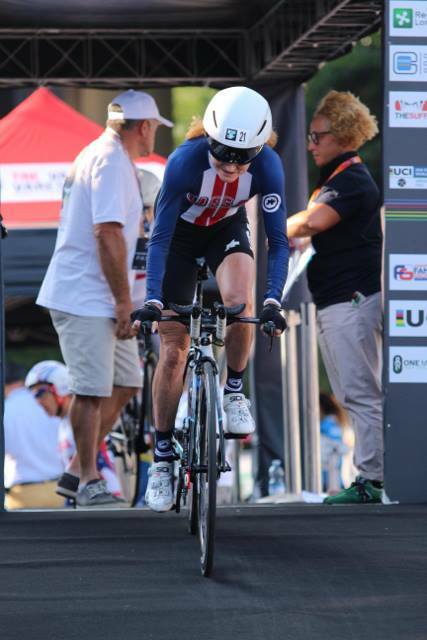 She is also a USA Cycling Level 2 Licensed Coach and holds an MA in Applied Physiology from Columbia University and is a certified BG Bike Fit Technician from Specialized Bicycle Components University. A Reebok University Master Trainer for over 10 years, she has presented educational workshops for fitness professionals across the United States and in Europe, Asia and South America. She enjoys helping athletes and exercise enthusiasts of all levels improve their fitness and have more fun on the bike, in the gym and in all their athletic pursuits. Marcelo Moreira talks to head coach Scott Berlinger and says, "Best race of my life! Couldn't have put more effort to achieve what I achieved yesterday! And wearing my FTE uniform! It was hot as hell here, and that Castelli fabric is awesome for hot races!" Marcelo placed 5th among all competitors in the race, including the professionals. He is a force to be reckoned with. This year on April 2nd, 2017 Full Throttle endurance traveled to South Beach to once again take the Team Title at the race for a 10th time in a row. It started with bike unload while scrounging for pedal wrenches, a morning swim in the ocean that made us question our swim attire and goggle shade, and bike rides along the thruway to warm up the legs and remind ourselves that the big day was here. It was a hot, humid day. With the water conditions up in the air and a team not sure of how to prepare for the heat, we conquered the course and congratulated many athletes who stood on the podium for their age groups and overall. Stacy Creamer competed in her first triathlon in 1994 but didn’t get serious about multisport until about five years ago. She started riding with Full Throttle in 2009 and committed to the full program in January, 2010. 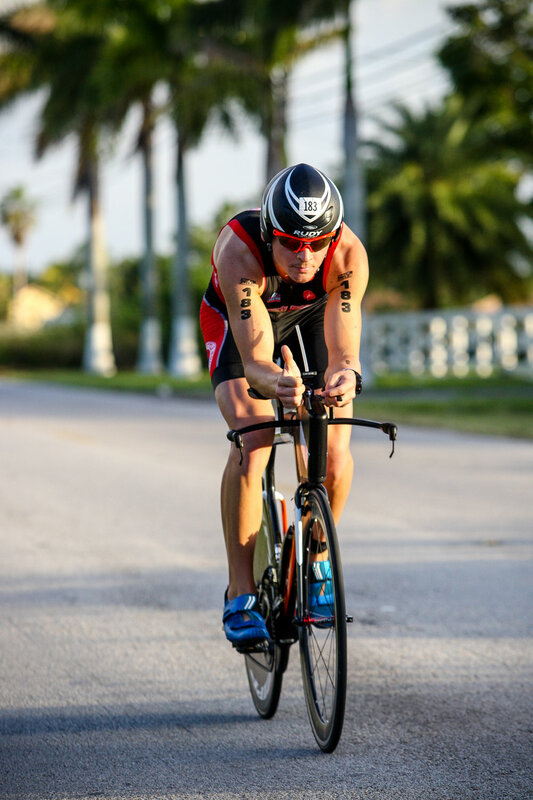 Stacy is a two-time ITU World Duathlon Championships bronze medalist (2009 and 2010) in the F50-54 division. In 2008, she was the USAT Duathlon National Champion in the F45-49 division and finished sixth in that age group at the ITU World Duathlon Championships in Rimini, Italy. In 2009, she took the bronze in the F50-54 division at the USAT National Duathlon Championships and in 2010 she took the silver. In 2011, she finished tenth in the F50-54 division at the ITU World Triathlon Championships in Beijing. Stacy is a two-time overall winner of the Central Park Triathlon and a frequent age-group winner at Olympic-distance triathlons. In 2010, at age 50, she was the top overall age group finisher at the Nautica New York City Triathlon. A 1981 graduate of Yale, Stacy is the publisher of Touchstone, a division of Simon & Schuster. Her authors include Lance Armstrong, John McEnroe, Kara Goucher, Dara Torres, Amanda Beard, mountain climber Ed Viesturs, cyclist David Millar, pop star Rick Springfield, former Guns n’ Roses bass player Duff McKagan, Marky Ramone of The Ramones, and Billy Idol. Other books she’s edited include New York Times bestsellers by Lauren Weisberger (The Devil Wears Prada), Elizabeth Edwards (Saving Graces and Resilience), and Douglas Blackmon (Slavery by Another Name). Slavery by Another Name was awarded the Pulitzer Prize for general nonfiction in 2009. Stacy lives in Manhattan with Stuart Calderwood and their son Kieran. Full Throttle Endurance Member Matthew Connelly completed his 32 miles around New York City in 3rd place on November 19th, 2016. The race, taking place once a year, "The Madhattan" is the only ultra marathon on the island of Manhattan. It's a select group of 30 or so brave souls who make the trek once a year in November. He completed his first ultra-marathon with a time of 4:36, averaging 8:38 per mile. This is Matt's first year on the team, he has a strong background swimming and rowing at the collegiate level. He is consistently a force to be reckoned with in the pool during practice. 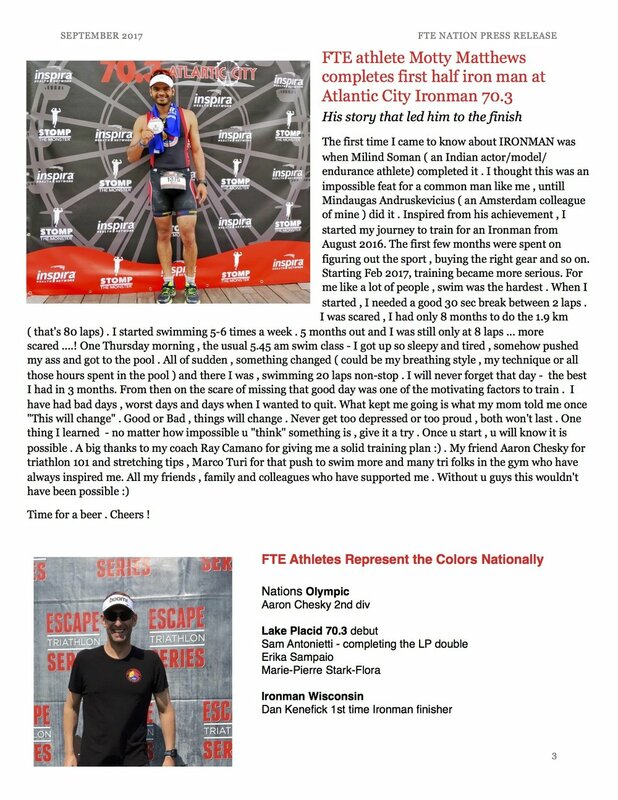 He also performing well at Toughman Half 70.3 Championship at Bear Mountain, placing 14th overall and 1st in his AG 20-25. The Winter Indoor Time Trial Series at the Sports Center at Chelsea Piers kicked off Sunday, January 29 with racers following the profile of the Upper Freehold Time Trial, a rolling 10.46 mile course with 435 feet of elevation. Andrew Kalley and Ann Marie Miller served as "race officials" for the event. Riders were given a 20 minute warm-up period to prepare for the Time Trial, and then racing started. Racing a course on the Computrainer was new to many of the riders, and posed new challenges to riders who are familiar with structured interval workouts on the Computrainer. Riders had to ride as fast as possible and shift gears to accommodate changes in elevation. Racers quickly learned it's not just how "fit" you are - it's how efficient you are and how smooth you shift to maintain speed. The overall fastest Men's and women's times were Robert King, 27:48, and Aubrey Dreker, 31:51. Come test your early season fitness or join us to cheer the riders on in the next round of the Winter Indoor Time Trial Series at the Sports Center At Chelsea Piers! The 2017 race season is here! Please visit the 2017 FTE Calendar and navigate to the dates and links to register to each event. It’s been a very exciting month of racing! 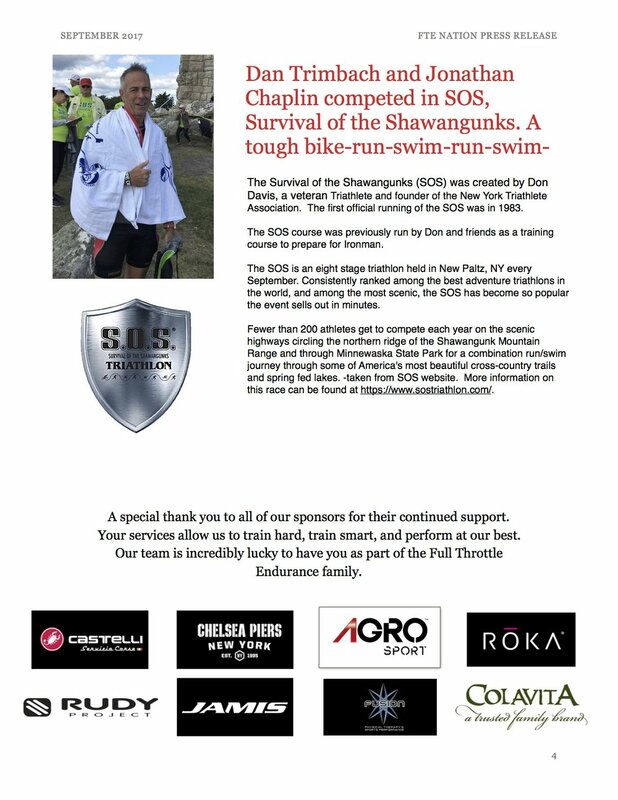 Here is a quick recap of some of the bigger races we’ve participated in recently. Many Full Throttle athletes represented at our team this year in Omaha at the 2016 USA Triathlon Age Group National Championships. With temperatures reaching a humid 90 degrees by the time many athletes started the run segment of their race, the conditions were very trying to say the least. Despite the heat and a non-wetsuit swim, we managed to throw down some still very impressive times! Kim Jerome came in at a time of 3:03:59, and Dixon MacDonald finished in 2:25:25. Sam Martini had a similar time, pushing through the heat and pain to come in at 2:25:52. Alex Goldhammer came through the chute with a strong time of 2:37:50 Stacy Creamer had her best performance at Nationals to date, coming in at 2:39:08 to take 6th place in her age group and claim her spot for Worlds! And and last but certainly not least, our hats go off to Adrian Mackay, who took 2nd place in his age group in the Olympic, and 1st in his age group in the sprint, with times of 2:09:09 and 1:06:17 respectively! Chapeau, good sir! 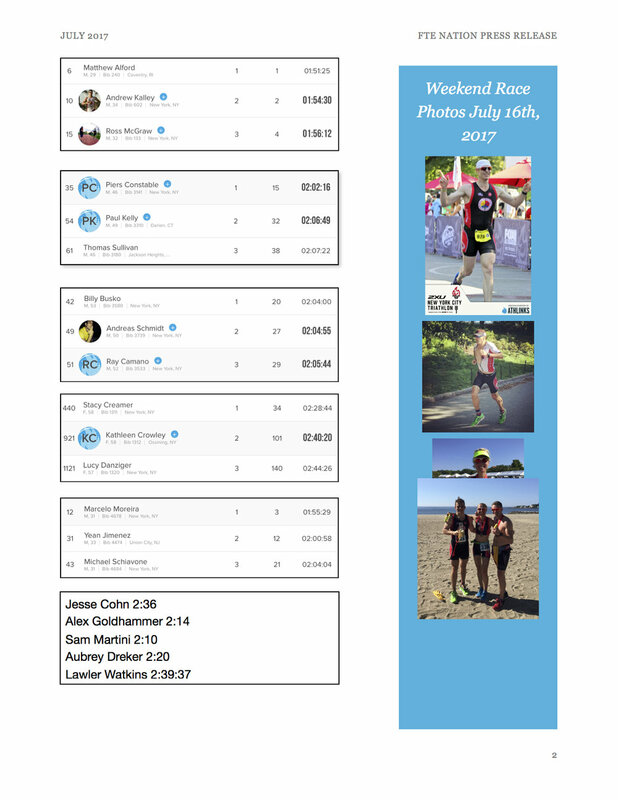 We had several athletes compete at Ironman Timberman on August 21st in the Lake Winnipesaukee region in New Hampshire. While she couldn’t run due to an injury, Emily Walgenbach still managed an impressive swim and bike. Steve Borne had a time of 7:04, and Jonathan Byrne came in with a time of 5:22. James Strol raced the Sprint on Saturday and came home with a new PR of 1:20:51, which got him 4th place in his age group. Great job, James! Meanwhile, North of the border in Québec, we had several athletes put down some strong times at Ironman Mont Tremblant. Conditions on the swim were choppy to say the least, and soon into the bike the rain started, and did not let up for most of the day. David Doherty had an amazing day, finishing at 9:55 despite the wind, rain, and hills. Scott McGrath and Wyeth Hunnable both completed their first full Ironman distance races; coming in with times of 11:11, 11:43 respectively. Way to go, fellas! Congratulations to everyone who raced! Stay tuned for announcements about our upcoming indoor charity triathlon. We'd like to also wish everyone a happy and safe Labor Day Weekend! Ride safely! FULL THROTTLE TAKES NYC TRI TEAM TITLE. AGAIN. While it wasn't quite as hot and humid as last year, conditions at last weekend's Panasonic New York City Triathlon were still tough, so much so that the run course was shortened by several kilometers as a precaution. As tough as things were though, Full Throttle still prevailed, taking the most points overall to bring home the Team Champion trophy one more time. 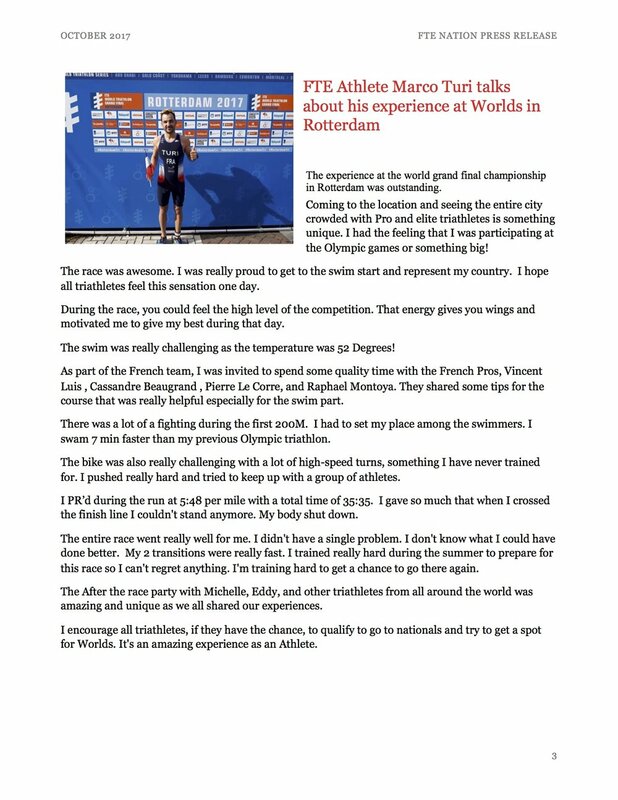 We had multiple podium finishing athletes to thank for this. On the women's side, Stacy Creamer took 1st place in her age group, Ida Jarner took 2nd in her group, Aubrey Dreker took 3rd in her group. On the men's side, Sam Martini took 3rd place in his age group, Cesar Villalba and Marcelo Pinto took 3rd and 1st respectively in their group, and Dixon MacDonald took 3rd in his. It was an excellent day of racing. Congrats to everyone! 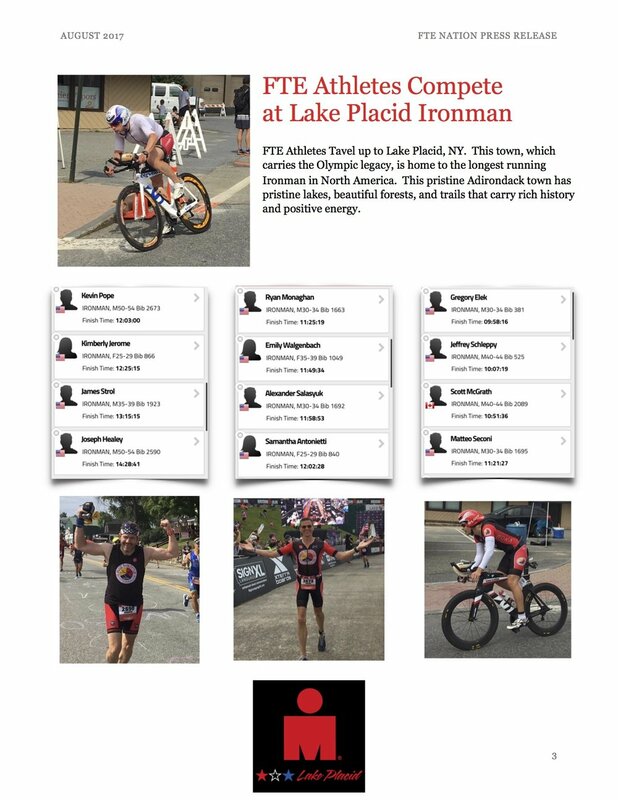 This past weekend, coach Andrew Kalley led a group of athletes to Lake Placid, New York, for several hard days of training ahead of Ironman Lake Placid. They rode over 150 miles on the race course, ran twenty miles, and swam over 6,000 yards, and even managed to get in a bit of rest and relaxation! It's almost that time again! Time to plunge into the Hudson for the 20th annual LifeTime Fitness New York City Triathlon! 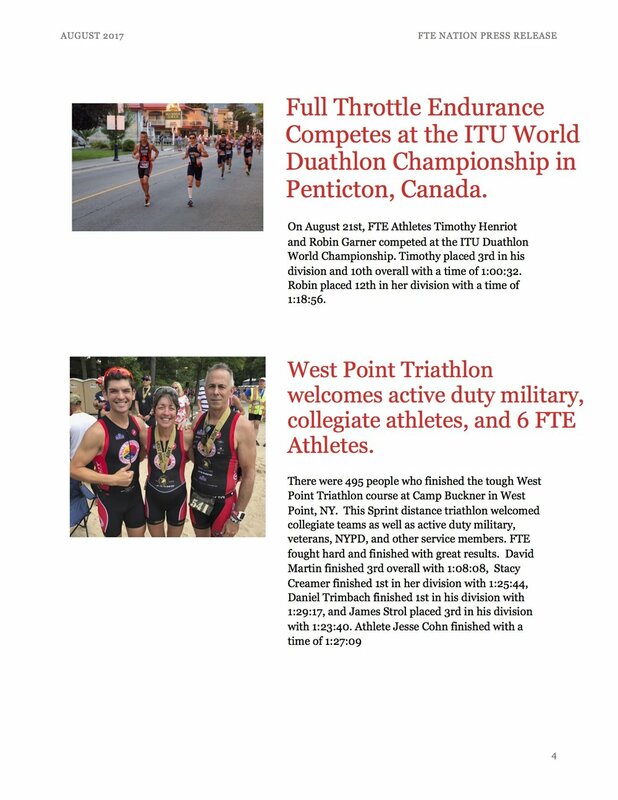 Full Throttle is looking to add one more Team Champion title again this year, with over 65 of our athletes competing. Good luck to all who are racing this amazing event. See you in the Hudson!